Kathy Freston is the author of Quantum Wellness and the above book The Quantum Wellness Cleanse. The cleanse is for 21 days and is not a fast. The cleanse does require abstaining for 3 weeks from meat, caffeine, sugar, alcohol, dairy and wheat/gluten. I can hear you screaming, 'But what's left if you exclude all those things from your diet?' Well, quite a lot it seems. To avoid gluten you stop eating anything made with wheat flour, however you can buy or make breads from many other grains (oats, corn, kamut etc.). You can use agave syrup in place of sugar. Almond or rice milk make nice replacements for cow's milk. Huge health benefits apparently come from eliminating dairy, sugar and wheat. On the cleanse you will eat mainly vegetables, fruits and legumes. For example, I plan to have the same breakfast every morning: steel-cut oats, with added fruit (bananas, strawberries, blueberries) and walnuts - maybe a little agave syrup if needed. Lunch will be salads that include either legumes (chick peas, lentils, etc.) with nuts, seeds or sprouts. Suppers can be quinoa with roasted vegetables, meat-free minestrone soup, etc. etc. If you are interested you need to read her book because there are lots of great suggestions about satisfying meal plans and snacks. My daughter and her partner are just completing their second time on Freston's 21 day cleanse in one year. Both have lost a bit of weight although that was not the goal because neither was overweight to begin with. However, they are both are astounded by the increase in their level of energy once eliminating the foods that are so taxing on the digestive tract. Their skin glows, their eyes are bright and white, and they claim it is much easier than one would imagine. Neither of them normally eat meat or dairy, so it was a matter of eliminating sugar, alcohol, caffeine and gluten. I have the advantage of already eating no meat, but do eat some dairy (rarely), wheat, caffeine, some sugar and alcohol (wine). So I will have to abstain from them for the 3 weeks. I am planning to give the 21 day cleanse a try starting Monday, February 1st. Anyone interested in joining me in this 'adventure'? You would have to read her book and immediately stock up on the things you CAN eat, have a concrete plan as to what you will eat every day - and try to keep it simple. Freston includes many recipes by Tal Ronnen the 'Conscious Cooking' chef and author. Another book that will be helpful on this cleanse is "Clean Food". The 21 Day Cleanse focuses on healthy, wholesome foods and eliminates five staple foods from the diet. For three weeks, you are to give up alcohol, sugar, gluten, caffeine and animal products. Freston emphasizes conscious eating, being completely aware of what goes into our bodies, where it comes from and why we are consuming it. In an article in The Huffington Post, Freston says, "Sitting down to eat is an elemental part of every day and what we choose to put on our plate has repercussions not only for our physical well-being but also for our spiritual well-being." The inherent and obvious benefits of the cleanse are to rid the body of toxins that build up due to bad habits, bad eating and pollutants in the environment. As these toxins build up, the energy required to naturally expel them takes it toll on the body, whereas a detoxification program eases the expelling process. Freston explains the benefits: "The cleanse delivers a fresh start. It's like a vacation, a reprieve from our old and tired ways...an opportunity to kick start a momentum of consciousness and healing." Doctor Benjamin Kim of DrBenKim.com lists some of the best natural food for the cleansing process. These foods include: lettuce, avocados, tomatoes, cucumbers, celery, carrots, onions, corn, sweet potatoes, butternut squash, watermelon, honeydew, cantaloupe, pears, apples, bananas, mangoes, red beets, bell peppers, broccoli, cauliflower, cabbage, asparagus, papaya, peaches, plums, nectarines, grapes, coconut, oranges, grapefruit, blueberries, raspberries and blackberries. It is best to slowly ease your way into the cleanse. The week prior to starting the cleanse, slowly ween yourself of caffeine, sugar and alcohol. An abrupt change in diet can cause extreme irritability, vomiting and fatigue. Consult your doctor before starting the cleansing program to ensure it is safe for your particular needs and lifestyle." I personally will not be eating so many soy products on my cleanse. But that is up to each person. I don't particularly enjoy the flavour or texture of soy and know that one can get enough protein by combining legumes, seeds, nuts and whole grains. I might make a concession and purchase some soy-based protein powder with which to make smoothies for breakfast or snacks. You really need to check this out for yourself to see if such a 21 day program is right for you. A friend of mine did a cleanse by eating nothing but fruit for a week. ok....I need to do this. I have been thinking of trying to clean my system..and I do have a gluten wheat intolerance..so I already control my intake with that..agave I use..dairy and meat I do not have...the only problem is the coffee..I can not do without my coffee in the morning...I wonder if I did it religiously without leaving out my coffee..if decaf is acceptable I may be able to trick myself hummm I will order the book today and check this out. I'll go for it Bonnie! It's the way my naturopath suggested I eat anyway (no dairy and no wheat), to deal with my perpetual stuffed-up nose, and I could certainly do with more energy. I'm up on my alternative protein sources, but tell me, on this cleanse can we eat fish? I can't get her book that quickly, Bonnie - I'd have to order it from amazon.fr. I am very intrigued by this as it's not one of those extreme cleanses that I think are ultimately bad for you. And my dear Belgian is unlikely to go along with this but the next time I'm in Calgary alone, I'll give it a try. You will, of course, be letting us know how you feel being on it and if it's really positive then maybe I won't be able to wait! I really enjoy your blog - I just never know what's going to be on here. You appeal to my need for variety and knowledge! 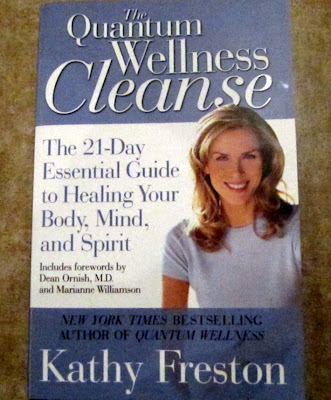 I finished reading her Quantum Wellness in the last days of 2009 and decided to do the cleanse this year but looks pretty difficult to do. I would love to hear your experience with it and how you are going to manage it with a husband? When I offered Behcet to do it together he just simply refuse it. Good luck and I am waiting to hear from your experience. She said the first days are the toughest. Sounds like a very good idea if it works. I am already off dairy and caffeine permanently anyway, so I wouldn't have far to go. All the same, I'll wait for your results. Good Luck! And do stay healthy! This sounds healthy, but I could never afford the expensive groceries needed for the entire 21 days. Poor people have a hard time eating healthy!! Good luck with your cleanse. Blessings! Ellen: When I was little, in the Autumn when the Ontario purple grapes were harvested my mother would buy a bushel(?) and eat only grapes (seeds and all) for a week. She also told me about when she worked in a Finnish steam bath when young, the Finnish owner would insist she go on a cabbage juice fast and it would eliminate her eczema. Marlene: I read somewhere that what we crave most is probably the thing we are allergic to ... mind you I've never heard of an allergy to caffeine. I'm typing here now craving my first coffee ... it will be hard to give up. The thing I have to remember is that this cleanse really gives your liver, pancreas, kidneys a break and a chance to rejeuvenate. Kathy Freston is a friend of Dr. Oz and he and his wife do her cleanse now and then. Great, I'm so happy you will join me. I'll post some recipes and share what I'm finding easy and difficult. Hope you will too. It helps to have a partner or two in the effort!!! Kathryn: Wonderful!! Unfortunately, no animal/fish protein on the cleanse. Animal proteins require much more work of our digestive system. Have you read The China Study or Anti-Cancer? Both those books sing the praises of meat free regimes for preventing and eliminating cancer. So check in here and keep me posted on how it goes! Will you start on Monday too? Friko: Thanks! I'll do a couple of posts as little updates. Marion: It's true that vegetables and fruit are expensive this time of year. But legumes are not. I used dried beans, onions, garlic and canned tomatoes as a basis for fabulous soups that last for ages. As well the items that cost the most in the grocery cart are cheese, meat, dairy and all the sugary treats. Once you eliminate those you can spend the money you would have spent on them to buy your veggies and legumes and oatmeal. Just good old basic eating of whole, simple, clean foods like Grandma used to do! I will consider doing it too bonnie...I have 2 of Dr. Oz's books and vegetables, fruits, nuts and legumes are a big part of our diet and white meat( if any) is only eaten once a day(at lunch)...crusty breads and cheese are favorites though. Deborah: Yes, I'm sorry I didn't allow for more preparation time - but I'm following an impulse and the Feb. 1st date being a Monday seemed perfect. You can check her out on the web - I don't know how much of her programme she shares on her website. I'll let you know how it goes. My husband has joined me in not eating meat - but he curled up his nose at the idea of forgoing his wine and caffeine. But, I don't mind purchasing and cooking a few things for him that I won't be eating. It will be hard not joining him in a glass of wine, or foregoing his morning brew of coffee. I know my body needs this kind of detoxification and it is said to cut down the levels of inflammation in the body that they are now feeling set the stage for the drama of cancer. I will have my daughter's support, encouragement and chiding when needed, so I suppose that is a big advantage and incentive. I so appreciate your warmth and insights Deborah. It sounds very close to my normal diet, Bonnie, except for the wine, caffeine and dairy. If have cream in my one cup of coffee a day and milk with my oatmeal in the morning. So I'd need to make a few adjustments, but not many. Maybe I should pick up the book first. Turquoise: Yes, there will be some withdrawal symptoms for the first couple of days ... but I am prepared ... I think! I will let you know. My husband is not keen on doing the cleanse either. But I do have the advantage that he does not eat animal protein - and he is handy in the kitchen. I think I will be living on good soups and he loves soups - all he has to add is his bread. We'll go with the flow. I will probably go to my studio and paint when he pulls out a great bottle of wine or prepares morning coffee ... maybe a bubble bath to compensate! Oh, I wish you could join in since you have already got the book and given it some thought. Maybe next time! Wanda: I think we eat in much the same fashion. If we have a weekend afternoon to ourselves, we often open a bottle of wine and put out a plate of different cheeses, crusty bread, and raw vegetables and play scrabble. Guess I can still do the scrabble on the 21 day cleanse! Thank you for the good wishes. Yup. 29! I would love it if you would join me, btw! Barry: Yes, you should get the book as a reference and as easy, available encouragement. My daughter puts almond milk on her morning oatmeal and says it has a lovely almost sweet flavour - same with rice milk. My daughter's main motivation in doing the cleanse is to eliminate inflammation in the body which many doctors now link to cancer growth. So there could be benefits for you beyond a simple detox, but you need to determine that for yourself. From your reports, sounds like the diet you are on has done well by you. Are you getting a lot of TUMERIC in your diet? Supposed to be good for esophageal (sp?) cancer!! I was fascinated with Michael Pollan's report on Oprah just a couple of days ago. Alicia Silverstone also mentioned how white her eyes became when she changed her diet and how much better she felt overall... she lost weight, she slept better and she looks great. I think even if you don't commit to doing a cleanse, you can certainly incorporate a few of these things every day! I think it's a great idea. My family has attempted Gluten Free eating for years, but there are also allergies that can come with corn and soy. Gluten also comes in MANY other grains, including Kamut, Rye, Barley, and even though isn't naturally on oats, oats grown in fields near wheat can be contaminated. Normally doesn't matter, but if you have celiac it matters. I don't, so I eat oats. I eat Gluten too, but I have gone without for long periods of time. It does make a difference in energy to stop eating it. Huge. I'll go shopping on Sunday and start Monday. Dinners are going to be the hardest. I have a great lentil and brown rice casserole recipe we eat about once a month. I'll be making that a few times in the 3 weeks. Other than that, lentil soup, minestrone soup, greek salad with nuts instead of cheese.....I;ll check in here and probably whine about my withdrawal symptoms on my own blog too. Here's to a great cleanse! oh wow! i wish i had the discipline to do something like this! i tried the south beach diet for a week & almost passed out. i missed bread so much! lol! 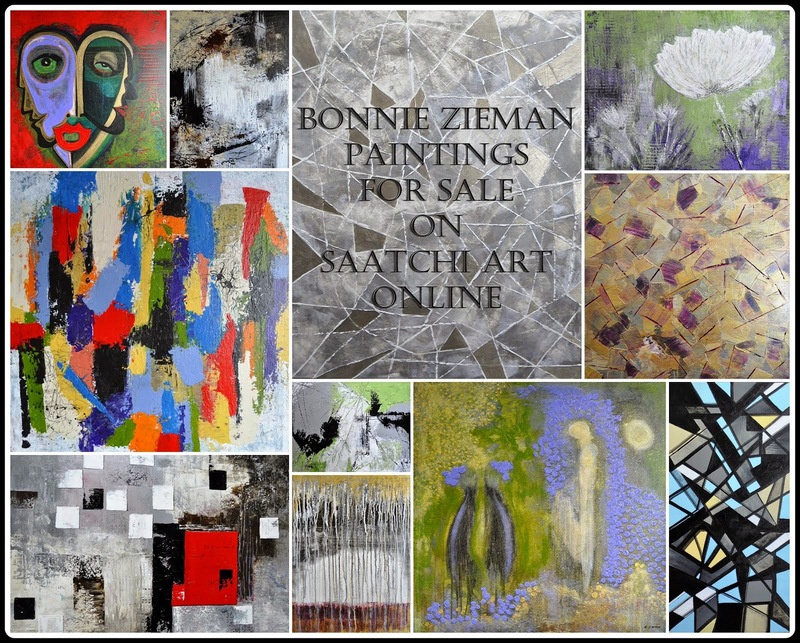 best wishes to you on this and thanks so much for stopping by my new bloggy! Vicky: That's right - and hopefully that is what anyone who does the cleanse will do. I think this whole thing fits right in with the impulse so many have to live more simply. Catvibe: That is true that many grains contain gluten - but wheat seems to be the biggest culprit. My sister was diagnosed with Multiple Sclerosis years ago, but she also had bad allergies and began to notice when she stayed away from wheat, her double vision, wobbly legs and incontinence would disappear. Needless to say she does not eat wheat - and on the occasions that she has slipped her body rebels with MS symptoms immediately. Kathryn: Great to have you aboard!! I will check your blog for the whines - hopefully when I feel whiny you won't and vice versa. I will be eating similar things especially soups. I'm planning on have smoothies for breakfast and will share the recipe tomorrow. Hope you will share some recipes too. myanphotography/zuppaartista: Whatever we crave is apparently the thing we may be allergic to... or so I've heard. Bread is a hard habit to break. But there are gluten-free breads out there worth giving a try. Thanks for your encouragement. Delwyn: You probably would not have to make many major adjustments. Is the wedding coming up soon? I wouldn't want to be on a cleanse at a big family celebration either. Val: Hey - that's fabulous. Read my post Saturday for some info from Freston's book that will help until you are able to get your own copy. Hope you will check in and share your progress ... and perhaps prop up some of us who are having a difficult day! You've been a busy woman these days. This cleanse sounds great. I am familiar with some variations and I have done the The South Beach diet periodically for years now. It is amazing the difference when dairy, sugars and breads, alone are cut out of ones daily diet. Can't wait to see how you like it!